One of our most exciting projects this year saw us working with iconic Broadway New York performing arts centre, Symphony Space. 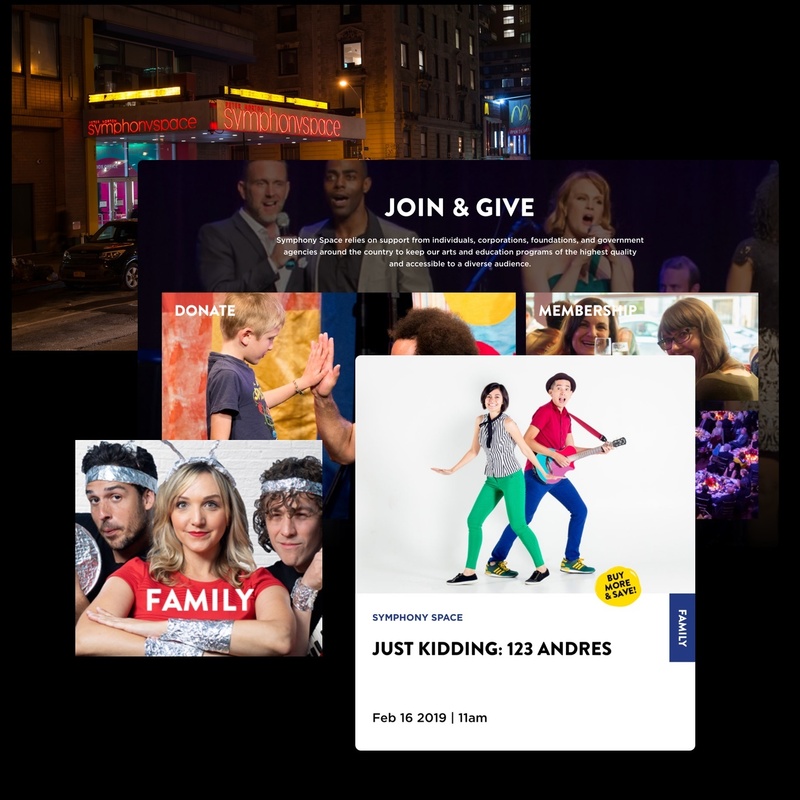 The Manhattan-based organisation sought to overhaul and re-launch their website in tandem with their upcoming 40th birthday celebrations. 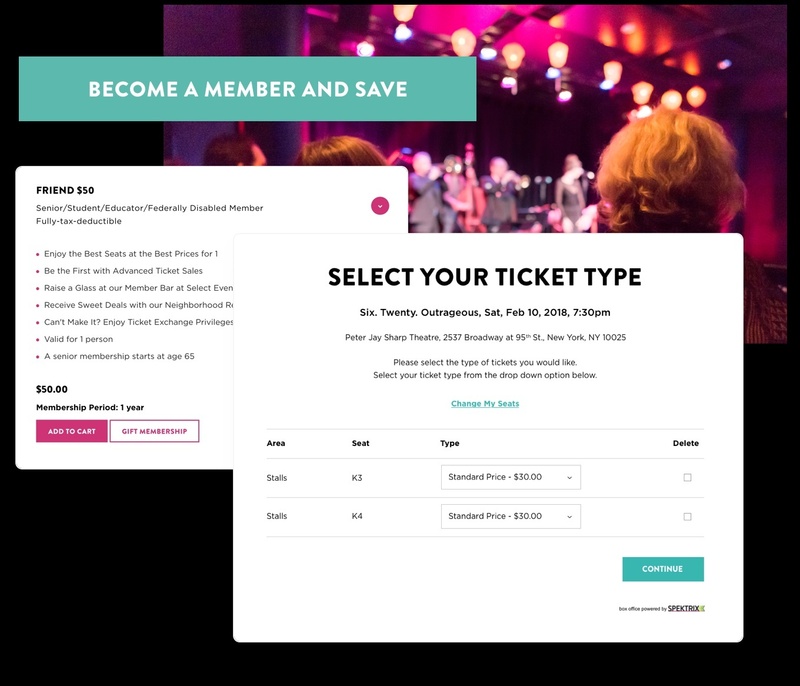 Alongside wanting to strengthen revenue streams, Symphony Space wanted to improve the User Experience (UX) and to enable their audience to browse extensive the event calendar and seamlessly book tickets online. 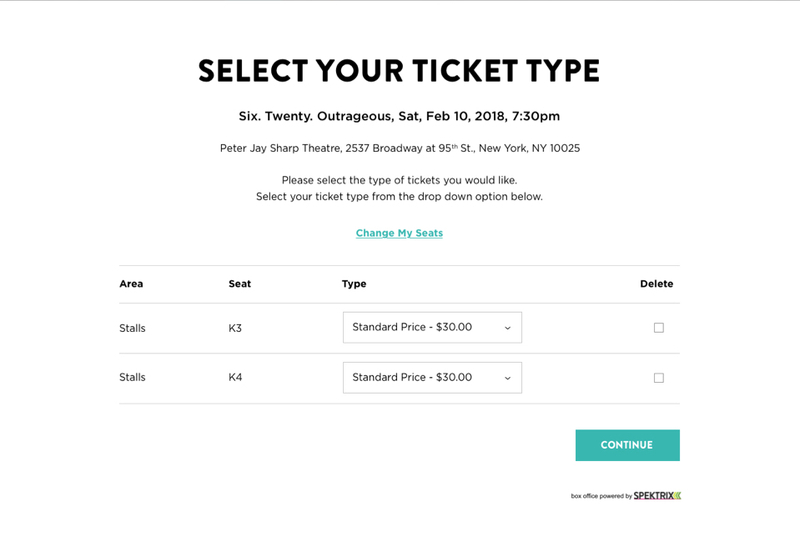 A key project requirement was to deliver a seamless website integration of the Spektrix box office software for ticketing, marketing and fundraising. 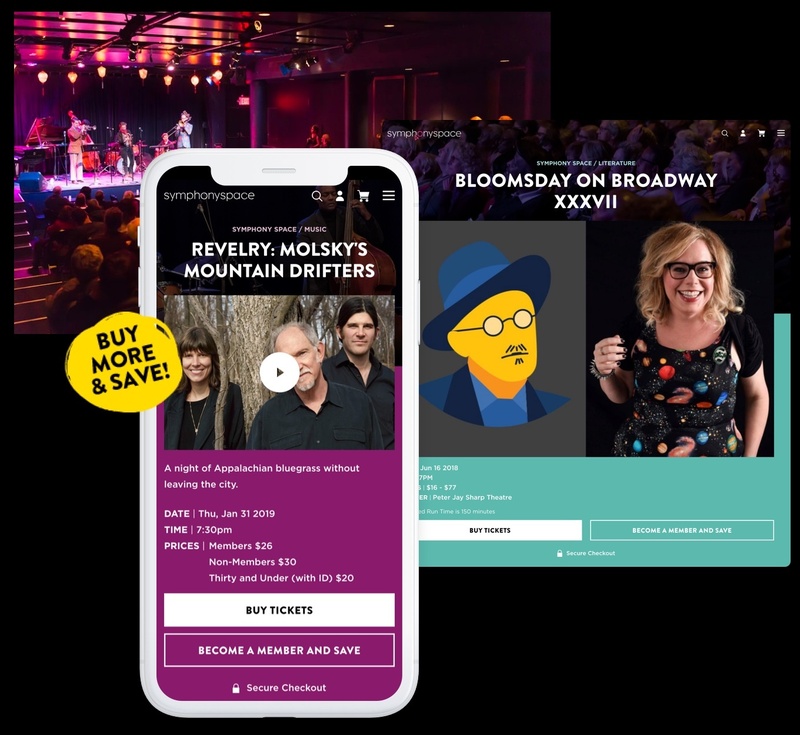 As experienced Spektrix integrators, Eyekiller was best placed to take the Symphony Space online presence to the next level. 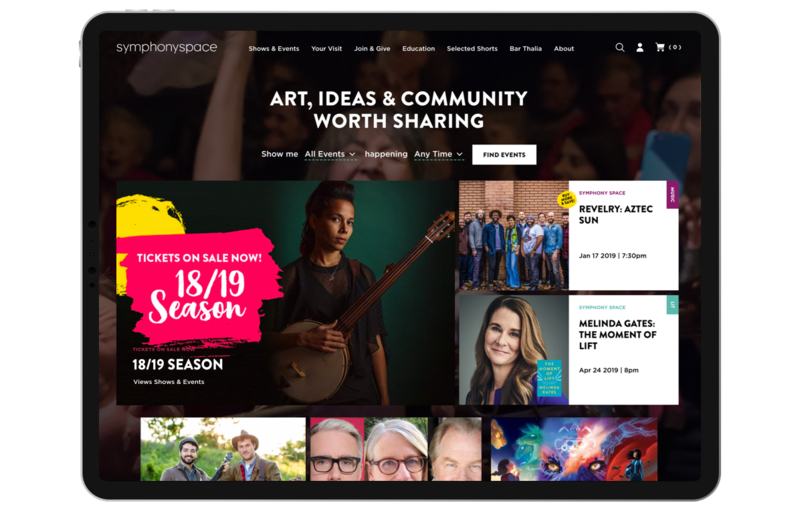 By streamlining event information, marketing, and online ticket purchasing with this specialist arts booking software, the new website is optimised to drive revenue. Eyekiller created a fully responsive website that consolidated the architecture of the existing website, making information much more accessible. We built eye-catching and functional visuals and introduced a simple-to-use platform, Craft CMS, putting content control fully in the hands of the NY-based marketing team. 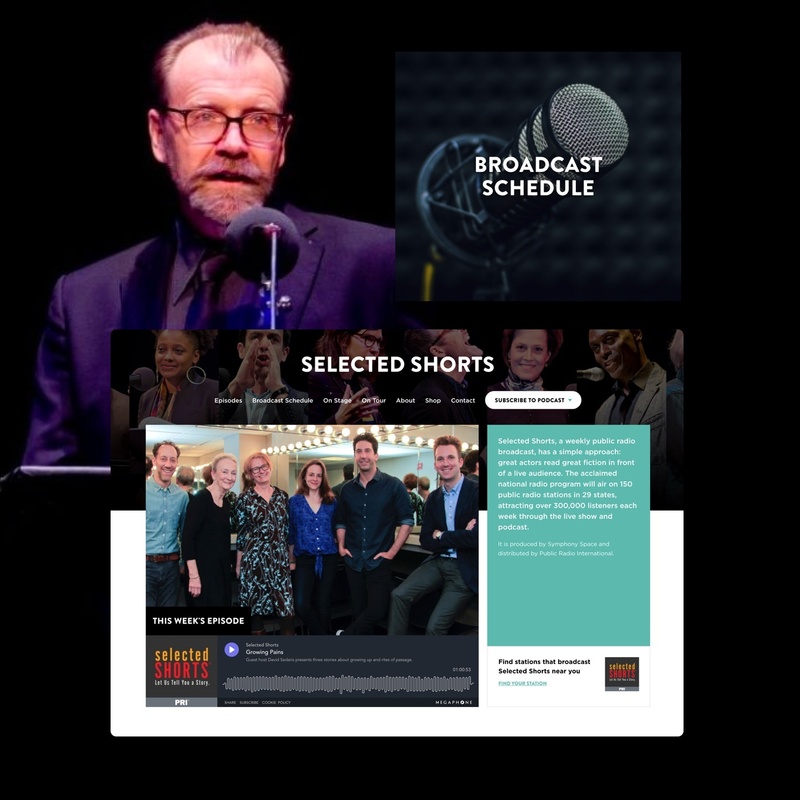 Symphony Space produces Selected Shorts, a nationally broadcast radio show and podcast which previously had a standalone website. 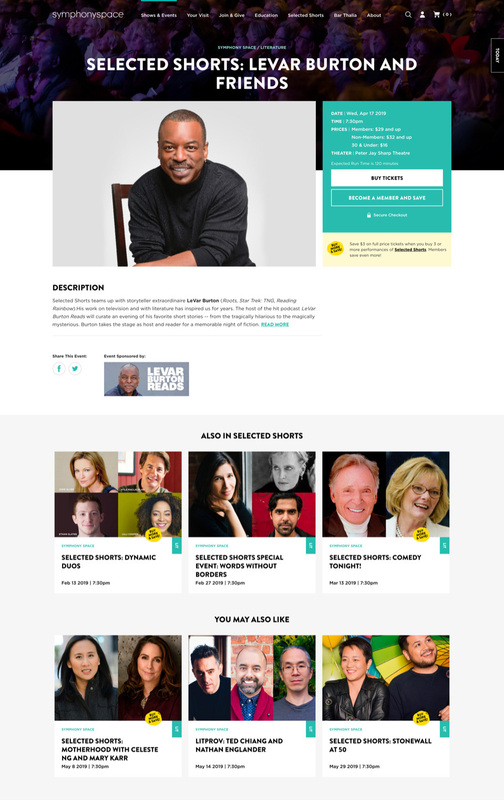 The new website brings together both strands of the arts organisation into one online location, unifying the brand and amplifying impact. 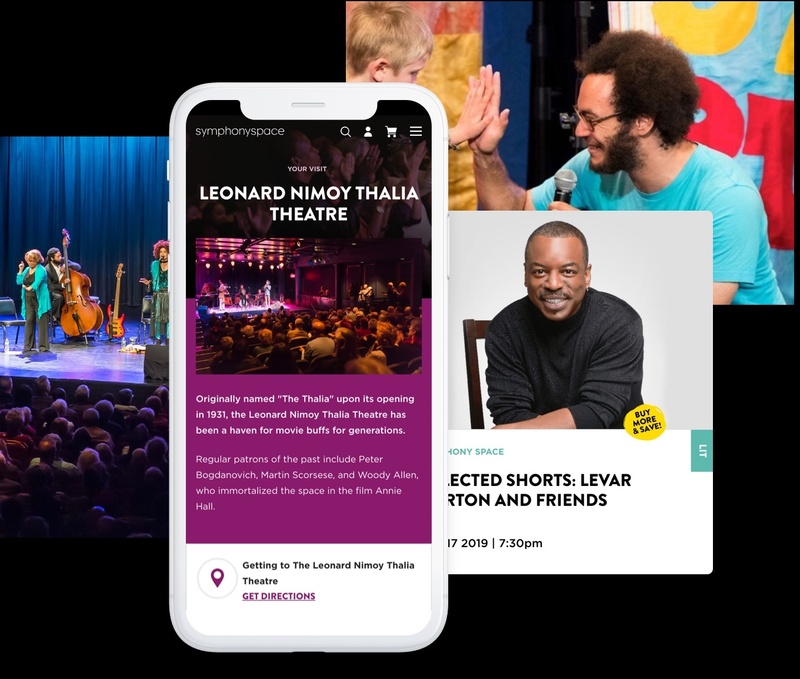 The completed website, launched to coincide with the 40th birthday celebrations, reflects the positive, dynamic energy and heritage of Symphony Space. The end results – in terms of visuals, usability and metrics – demonstrate that neither distance nor time zones are a barrier to successful collaboration.